Finally! Norwegian Media Covers Bodnariu vs. Barnevernet in Detail! This is the title of the front page story that spans 15 pages in Bergens Tidende, one of the largest Norwegian newspapers. The article is also available by subscription online and hundreds of thousands of Norwegians are subscribed. Delight in Truth read the coverage, and while it is not overly friendly to the Bodnariu family whose 5 kids were confiscated by CPS (Barnevernet), it attempts to maintain an objective tone with representation from multiple sides in the saga. Reporters were present on scene at large demonstrations in Romania. Interviews were taken with demonstrators, Ioan Brie (pastor and dean of Pentecostal Theological Institute in Bucharest), Senator Titus Corlatean, and Norwegian officials in the local Barnevernet. It gives an accurate portrayal of the demonstrators’ concerns. “I do not get it. I can not imagine anything worse than losing my children,” says one demonstrator. “Parents are initially charged with violence against all five children, but the charge may be changed, says Kleiven. After that BT know both parents have recognized the use of mild violence as part of their upbringing to some of the older children, but none of the youngest. The investigation is almost finished. The case will be sent to the public prosecutor in a short time. There is good correlation between what children have told and what the parents have acknowledged, says Kleiven. “It has taken our breath away. We have never experienced so much pressure, it rang and rang. Hundreds phone [calls].” he said. The above picture is a large pile of paper mail they have received in support of the Bodnarius. The Romanian Evangelical movement throughout the world has united like never before and responded with tons of emails, traditional mail, and phone calls in addition to protests. It led to this unprecedented coverage and exposure in the mainstream media, even though it took 2 months. The population of Norway is slowly becoming aware of the overreaching response of Barnevernet. We must press on to make them aware of human rights violations inside this governmental agency. Delight in Truth brings us a major story today. He covers what is here the first major newspaper coverage, 15 pages !!! !, of the Bodnariu case in a paper that has thousands of readers (by subscription). The standout here is the fact that the evangelical community efforts HAVE MADE an IMPACT! 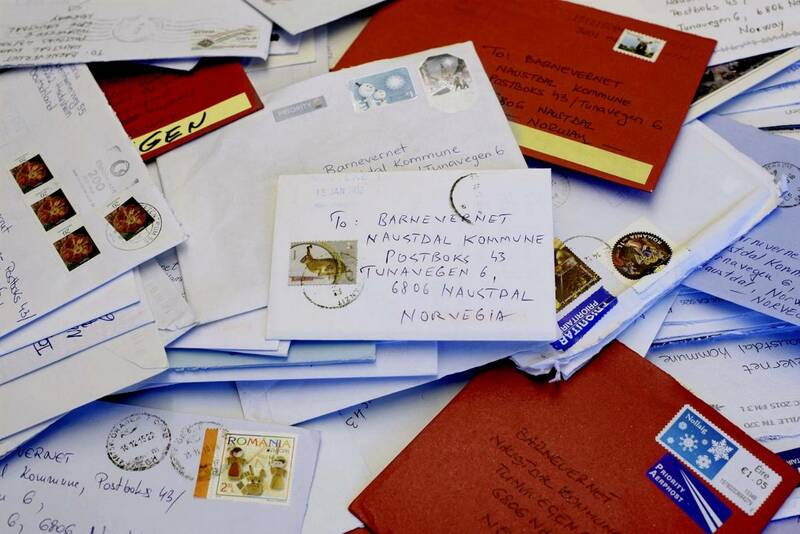 One of the actions the family had organized was the Christmas Card writing campaign, and it is emotional to see the photo of all the letters and cards received in Norway, especially if, as we, you wrote some yourself. Please read on, this is another step towards victory. And thank you Delight in Truth for all the posts you wrote about the Bodnariu case, which have garnered a lot of attention from the norwegian media long before this big breakthrough! I think the Norwegians are pretty devious, the newspaper Bergens Tidende included. The Norwegians will respond emotionally: “These foreigners do not understand US and our welfare state!” They will defend and defend. There was an article from Romania, an interview with one of the BT journalists, Øystein Brekke, while he was there at a demonstration (the article seems to have disappeared?). The way I read it some days ago was that he was just the usual type, saying parrot-like that the Romanians were misinformed and needed to have the figures put right and to understand better how Norwegian child protection worked. Anyway, Bergens Tidende is one of the standard newspapers. I know them too well over many years to trust a single soul there, about this OR other matters (I lived in Bergen for 40 years). They are solidly, conventionally on the side of the CPS, although a few things have evidently slipped out, so that perceptive people can find confirmation of the fact that there is no question of serious abuse in the Bodnariu case. The question is whether there are all that many people in Norway who are perceptive as regards the CPS. – Still, always good that at least CPS matters are getting some attention. But you should know that there are regularly press reports about CPS case all the time, not only now, some of them ought to cause an uproar, and nothing happens. The reports and stories about grateful people who have been “saved” by the CPS, and propaganda for more resources to them, are much more to the forefront. And after that, there is the question of how soon it will go before the County Committee. Then, whether the family or the CPS win, there will no doubt be an appeal, with new “assessments/evaluations” of everybody, etc etc. The positive thing now, and a very important one strategically, one which MAY even help the Bodnariu family and many many others, if the pressure is kept up and we could get a kind of revolution among some people in power somewhere, is QUITE ANOTHER CPS-CASE, which has been published by Stavanger Aftenblad, and is followed up every day with new articles exposing everything, many parts of which may possibly be found grossly illegal by the European Human Rights Convention. This case has upset quite a lot of people, who feel the ground shaking under them. Already Aftenposten, our largest “serious” newspaper, has tried to counteract it by publishing, two week-ends in a row, top articles called, respectively “For noen barn er mamma det farligste i livet” (For some children mammy is the most dangerous thing in life) and “Barna var så nydelige, men jeg orket dem ikke” (The children were so lovely, but I couldn’t stand them) – spoken by a mother. So I can’t help you on that, I’m sorry. What would help the Romanians, I think, would be if someone, say among the concerned authorities in Romania, paid Stavanger Aftenblad for access to all articles, past and present and coming, about the Ida case, and then paid someone competent (for heaven’s sake not Norwegian CPS minions) to translate it all into English. You would probably have to pay for the permission to translate and certainly to publish English versions also, even to distribute it in a limited way, although Stavanger Aftenblad might be interested in being able to sell those articles to foreign papers. The journalist who has led the work, done most of the work and the writing, is Thomas Ergo, and he has written good things from CPS victims’ point of view earlier too. So, if you know some energetic and efficient people who can make things happen, this is what I suggest you/somebody try. Thank you for the input (as always), Marianne. I think you are right that there isn’t ONE thing that will cause the colapse of the system or the immediate resolution of the Bodnariu case. I agree. I am not saying one cannot succeed, just that one cannot succeed in getting the Norwegians to see what they are doing and to see sense, by talking or telling them in a friendly manner that one disagrees. Practical sanctions emanating from the demonstrations, boycotts leading to loss of markets for Norwegians products, to loss of face, sanctions in the Council of Europe, US politicians taking it up. A really good thing was the Czech president withdrawing his invitation to the Norwegian ambassador to the celebration of Czechosllovkia’s independence in 1814. The Norwegians want to teach everybody human rights and how to run their societies. We need to be shown how shameful and sadistic some of it is, be shown publicly. They have been fighting Norwegian CPS much longer than the Romanian politicians and know a lot. Endelig begynner norske aviser å dekke Bodnariu-saken. Det var på høy tid. For oss som har blitt terrorisert av barnevernet gjennom mange år, gir demonstrasjonene håp. Den syke norske mentaliteten deles ikke av resten av verden. Det er ikke våre familier som er dysfunksjonelle men barnevernet. All ondskapen og mangelen på empati som vi har blitt møtt med tar kanskje en gang slutt. Here’s an update on the Bodnariu situation in Norway. It appears the media is starting to take notice of what’s going on. The writer Agrippa has, under my posting, come up with corrected numbers, about 15,000 are placed in CPS care. Agrippa points out that the statistic does not differentiate forced from voluntary placements. (So formally forced placements may be around 12,000.) But the number is increasing with every year, and “voluntary” placements are often not voluntary at all: The parents agree in desperation, because then at least they will get to see the children perhaps 6 times a year or even every month, instead of 4, 2, 1 or no visitations per year. Rilasciate i 17 minorenni romeni! E’ indegno distruggere le famiglie. The same newspaper that had the long report about the Bodnariu case, Bergens Tidende, today brings a letter from a Romanian in Norway, who takes Norway’s side completely, apparently without knowing anything about CPS cases in practice. She blames the Romanian delegation for “trampling in” in an impolite manner. She refers to “all that the Norwegian authorities are doing to reach Romanians in Norway and abroad with the message that “Barnevernet is there to help”. Just to illustrate how they “help”: This is a sad report about a completely different case, in which Barnevernet has taken the children and broken off the connection between parents and children. The parents are deaf, and they are now afraid that they will never more be able to communicate with their children. I understand. Well, secular or Christian does not matter regarding the CPS, they take children from all sorts, but the secular Romanians in Norway may of course think it does not concern them since the defenders of the Bodnarius have focused so strongly on the CPS objection to the “Christian element”. This is perhaps the drawback of that particular fous, and as you know, I don’t think the Bodnarius deserve more sympathy than the other thousands of families in the Western countries who have their families destroyed in this way. I wouldn’t say CPS victims are of any one persuation, nor are the CPS defenders. Yes, the political far left often tend to be atheists, but what we see in Norway is that the conservative parties, and – which is quite clear – most churches and religious groups are uncritical of the CPS as well. Our present government is conservative. So is the government in Britain, and they continue the CPS policy of their predecessors very aggressively. One CPS victim family I know are atheists, their child was placed with a very religious family who promptly took the child to all sorts of church activities and brought it up to take exception to all but this special congregation. All of which was very much an additional burden to bear for the parents. Another family, where the parents are Christians, were thrown out of the church when they wanted to be there and see their son (who was in foster care) being confirmed. Possibly these Romanians in Norway have organisations which receive money from the Norwegian state for their work of “information and integration”? Very many foreigners have. I am just guessing, I don’t know anything. I should have added: We all hear of Rom people (gipsies) from Romania who come here to beg, and they are present in many towns/cities in a sort of organised manner. There have been quite a few arrests and imprisonments for various kinds of crime (such as robberies, some violent), among them of a mother who hired out the underage daughter for prostitution. The “visibility” of this group might cause difficulties for other Romanians here, so that they would perhaps be eager to show allegiance to Norwegian society and distance themselves from the gipsies? The article appreared on the internet at 8 pm this evening, so I suppose it will be in the paper copy tomorrow. More or less all publicity is good publicity in this case. The article itself is full of supercilious talk about how impossible it is to get these silly foreigners to understand Norwegian information, because the foreigners have “got it all wrong”. Most of the actual mistakes in argumentation that have come up, like the speculation spread by the Lithuanians that Norway wanted fresh genetic material because of our defects, are repreated. 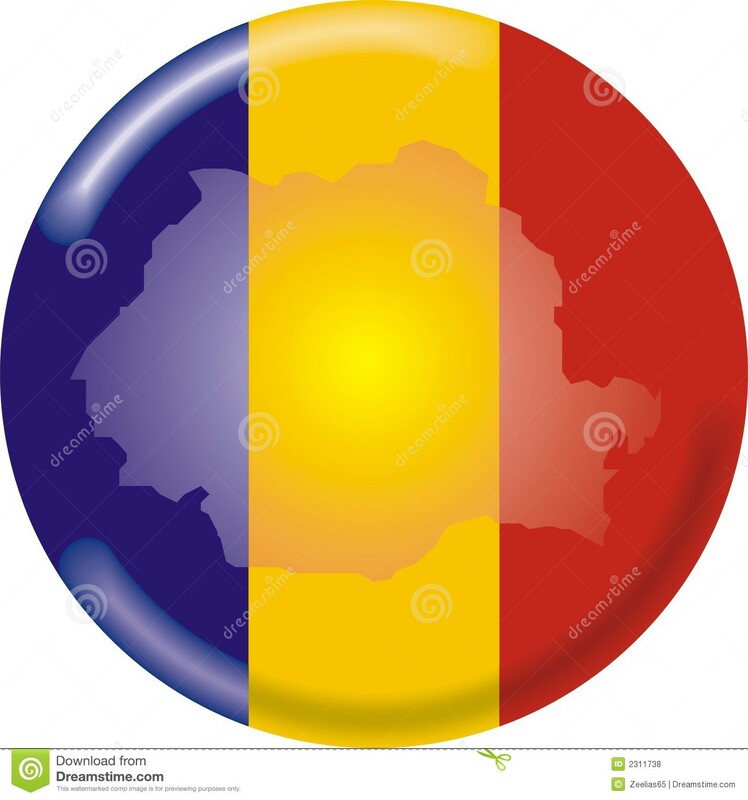 I think it would be a good thing if the leaders of the Romanian movement against Barnevernet let go of every speculation about strange motives and every exaggeration of the number of children taken, and so on, and concentrated on the inhumanity of taking children in this way regardless of circumstances and motives. I am not in the least surprised. The most likely reason for the daughter thinking such a cruel thing would be that the CPS had said to them, “You are going to get new parents.” There are certainly report of the CPS saying that to children, along with indoctrinating the children about how terrible the parents have been, and that the parents do not want them and that is why they have behaved so badly to the children. The writer of the VG article is given as a staff reporter, so the article is original with VG. Parts of the article are now repeated on NTB (the official telegram bureau) and from there it has been taken up by several newspapers’ websites and will possibly also be in their paper issues.